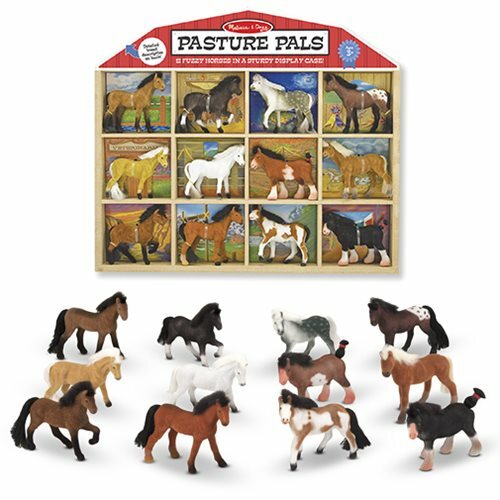 These twelve different horses feature velvety texturing, plus realistic manes and tails! Each horse stores in its own compartment in the wooden barn shaped crate. An informative identification key is included. Each figure measures about 3-inches tall. Ages 3 and up.